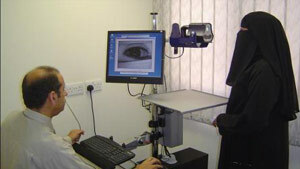 Eye scanning technology at IrisGuard, Dubai, UAE. Scanning the eye for security purposes may sound like a scene from the Hollywood blockbuster 'Minority Report,' but for a small Jordanian company it is not only a reality but big business. IrisGuard, established in 2001, has taken eye scanning technology and developed it for commercial use. From ATM machines to airport scanners, this week MME takes a look at the changing face of security technology and it's future in the home and online. Located in 29 countries, Virgin is one of the world's most recognized brands. From space travel innovation with Abu Dhabi's Aabar Investment group to stem cell storage in Qatar, the man behind the company, Richard Branson, is expanding his presence in the region. This week MME talks to the business tycoon and entrepreneur about his latest venture in the region.